Blackspotted pliers support beetle ( (Rhagium mordax) on a rotten tree stump. 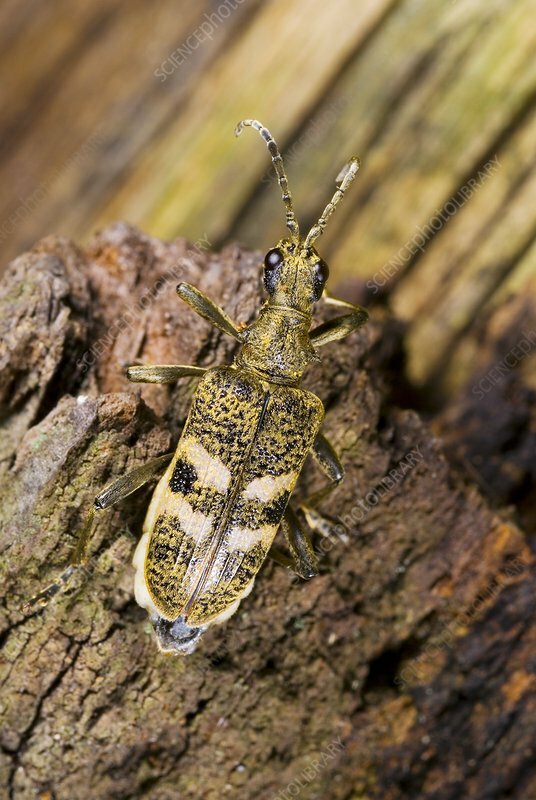 This species of longhorn beetle (family Cerambycidae) is found throughout much of Europe. Photographed in Lower Silesia, Poland.